Purpose: Use this document as a reference for Adding a Department Code in ctcLink. 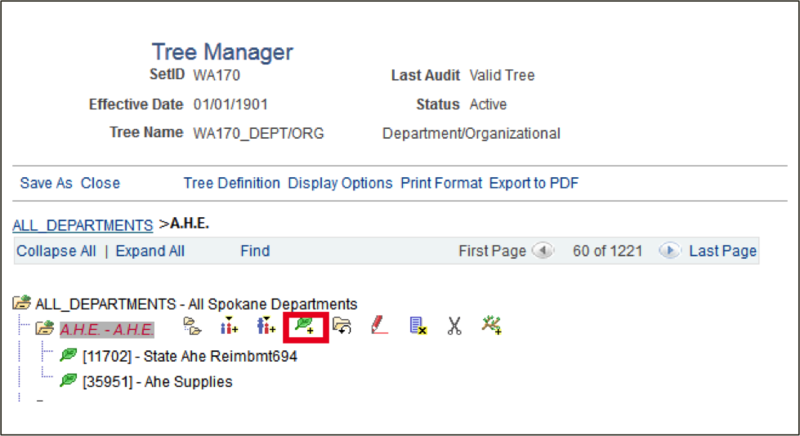 Note: Adding a department code requires two steps; entering a Department in ctcLink and adding the new Department to the Tree Manager. The Sync across pillars should be automatic. From the ChartField Values page, select Department. Choose Add a New Value tab. Use the Department page to specify the Description. Enter the description of the new department in the Description field. Enter the Effective Date (note: for most departments the effective date has been set to 01/01/1901) in the Effective Date field. Choose Active in the Status field. Enter short description in the Short Description field. *Note: The naming convention has no blanks in the description. 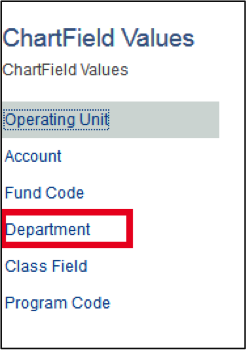 *Note: it is recommended to review your input by going back to the ChartField Value and clicking on search for the new department. When entering a department, it is also necessary for assigning the appropriate Tree Manager location for such things as reporting hierarchy. The actual Tree Manager for departments is already created, but the new department needs to be added under its correct node. Click on Find an Existing Tree and click the Search button. Choose the Node hierarchy and click on the appropriate node under which the new department will be labeled. Before entering the new department, expand the file to see all the present leaves under the node. Click on green leaf icon with plus (+) sign. Enter department in the Range From field. 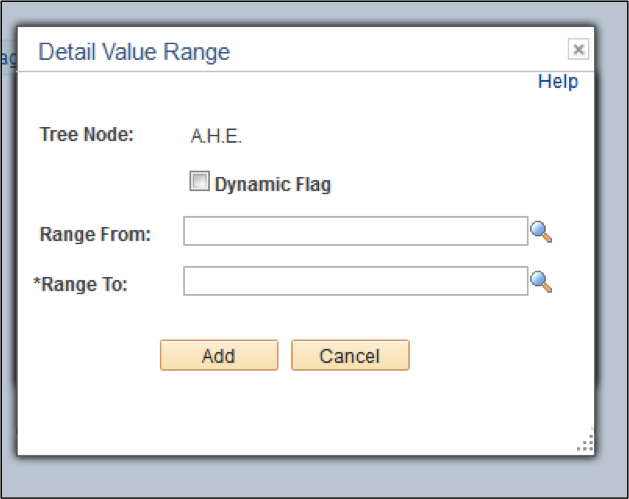 The department entered in Range From will automatically populate in the Range To field. 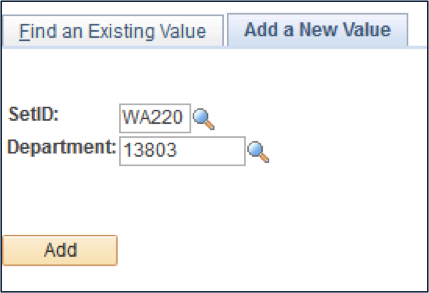 If several departments are being entered, in consecutive order, it may be appropriate to enter the ending department number in the Range To field. This is a business decision.